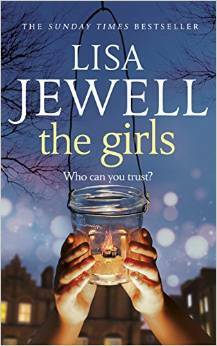 It’s a long time since I read a Lisa Jewell novel. I loved her first, Ralph’s Party, which still sits on my bookshelf along with four of her other books. I gave up reading somewhere about Vince and Joy, turned off by the pink chick lit branding and feeling that I had grown-up beyond the subject matter. Then I heard that The Girls was ‘something different’, and it is. Satisfying dark, mysterious, unspoken danger lurks above the heads of the girls – Grace and Pip. The setting is outwardly comforting: a communal garden surrounded by houses and apartments, where residents mingle and have barbecues together, where children roam safe from roads and strangers. But are they safe? And what is the threat? The two girls and their mother move to an empty apartment after the family home is burnt down by their father. He is now in psychiatric care, they lost all their belongings and walk cautiously into this cliquey community where everyone seems to know everyone else. Grace and Pip unknowingly trample onto secrets and the dynamics of teenage relationships, their mother Clare stumbles around the edge of tangled adult relationships, struggling to be there for her daughters while dealing with the betrayal of her husband. And at the centre of daily life is the garden, the hub of the wheel around which this community turns. Then one hot summer’s day, Grace’s 13th birthday, it all comes to a head. I finished this in two sittings, reading late into the night. A satisfying family thriller with hints of the truth and plenty of dodgy things to be suspicious about. Yes Ralph’s Party was huge – I don’t remember if I read it but the cover’s unforgettable! This sounds good – and I love your blog design. I wish I could do all this stuff. Any tips on where to learn bits and bobs would be massively appreciated! Sound’s good! I also remember enjoying ‘Ralph’s party’.